DIRECTIONS: Bake a sponge cake or use another cake recipe you like. Sponge cake: Beat eggs and sugar With an electric mixer until pale and thick. Whisk together flour and baking powder in a bowl and add to egg mixture. Mix until smooth. Pour batter into buttered and floured pan. Bake for 30-40 minutes (oven preheated to 180 � C / 350 � F) until the cake is golden brown and begins to pull away from the sides of the pan. Let the cake cool completely. Halve the cake horizontally with a long knife. Moisturize both layers with milk or juice. Prepare the filling and spread over the first layer. Arrange banana slices on the filling. Put the top layer on and press slightly. Use danish roll slices or cupcakes as ears. Mix the icing and spread on the cake. 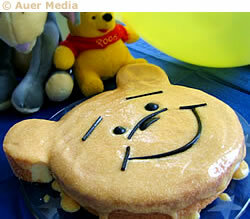 Let it drip around sides of cake as if it were smooth honey - Winnie th Pooh would love this cake!
. Now the cake is ready to be decorated! 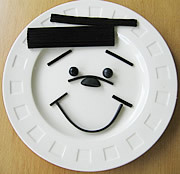 Cut the parts and arrange on a plate to see how the face will look. Winnie the Pooh�s nose is a good starting point. 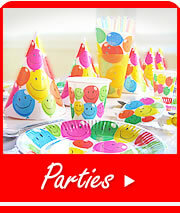 Put the nose in the middle of the cake and arrange other parts like in the picture. Print this picture and use it as a template if you like! Winnie the Pooh birthday cake is ready to be served!